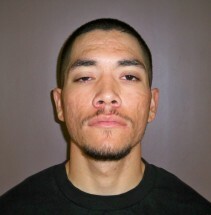 Homicide Suspect: Hollister Offering reward | WeTip, Inc.
Hollister is offering up to $25,000 Reward!! Hollister, CA- On August 1, 2014 at about 9 p.m., Hollister Police officers responded to a call of a shooting. The victim has since died in a bay area hospital. Detectives have identified the homicide suspect as Jose Barajas (20 yrs) from Hollister. The suspect is described as 5’9”, 160, Black hair with Brown eyes. Barajas has a tattoo of a “B” and a skull on his left forearm and skulls on his right forearm. The suspect is wanted for murder, kidnapping and assault with a deadly weapon. Barajas may have a female, identified as Vanessa Flores (20 yrs) from Hollister with him. The suspect was last seen in a late model, silver or gray, midsized import SUV. Vanessa Flores was last seen with the suspect in this vehicle.